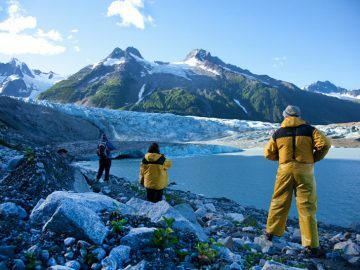 When you have your heart set on a big adventure, it can be frustrating and time-consuming to navigate through the backcountry permit process. But it’s absolutely needed. It means that our most spectacular (and popular!) wild places are being managed and protected in a sustainable way. It also means that when you get your chance to go, these places won’t be overrun. To help make the process a little easier, we’ve listed some of the most coveted backcountry hiking permits in the U.S. and everything you need to know to help you snag them. 1) Mt. 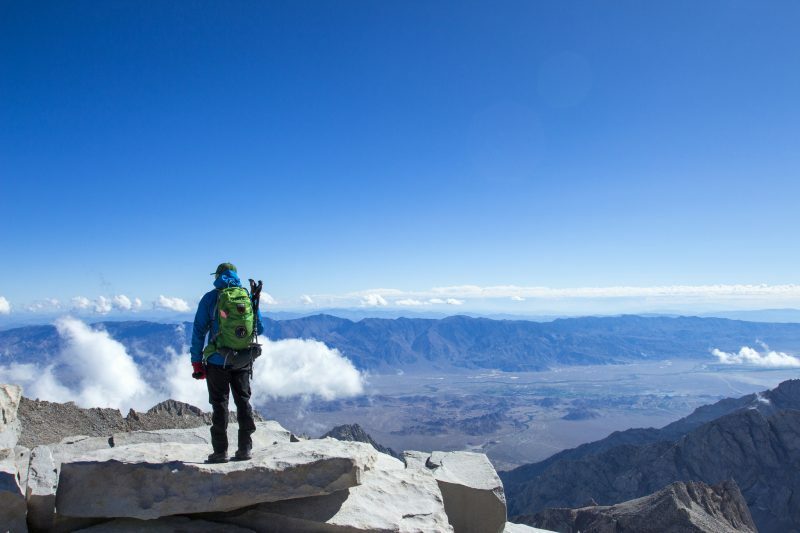 Whitney, CA – It’s a grueling 22-mile round-trip trek that starts at over 8,000 feet in elevation and climbs nearly 6,200 feet, but who doesn’t want to stand on top of the world? Plus, no technical climbing skills are needed on the main route if you go during peak summer months when the trail is likely clear from snow and ice, which is exactly why hiking up the tallest peak in the lower 48 is a bucket list adventure for so many people. It’s just one foot in front of the other. That said, you do need to be in good physical shape if you have hopes of making it to the summit of Mt. Whitney, which stands at 14,494 feet. Wilderness permits are required year-round to hike in the Mt. Whitney Zone and there are strict hiker limits between May 1 and November 1. As a result, there’s a permit lottery for the two most popular types of Whitney permits (a day hike permit for the Whitney Zone or an overnight permit on the Whitney Trail from Whitney Portal). The lottery is held online from March 1 to March 15. 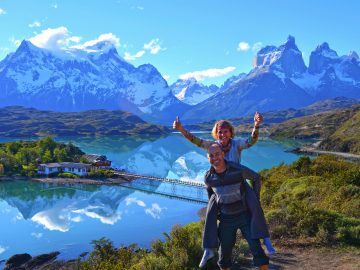 Each applicant can choose up to 15 potential trip dates and 3 alternate trip leaders for your group (which can be up to 15 people) in case your main trip leader is unable to go at the last minute. When you’re submitting your application, make sure to list as many date choices as you can to improve your chances, but do not submit multiple applications for your group, or your applications will be removed. If you win a permit, you have from April 1 – 30 to accept or decline the dates you are given and pay the $15 fee. If you are denied, you can go online beginning May 1 and try to snag any unclaimed dates that are released for web reservations. You can also try to grab a canceled reservation by checking online intermittently. And if all else fails, you can wing it and try going directly to the Eastern Sierra InterAgency Visitor Center to obtain a walk-in permit, which become available one day before the entry date if there is any remaining space. Of course, there are multiple routes to Mt. Whitney within the Inyo National Forest and Sequoia National Park, and if you’re up for a longer adventure you can try to secure a permit for a different entry point. Also, if you’ve qualified for a John Muir Trail permit (another hard-to-get backcountry permit which the Park Service has seen a 100% increase in demand for in recent years), you do not need an additional permit to summit Mt. Whitney. 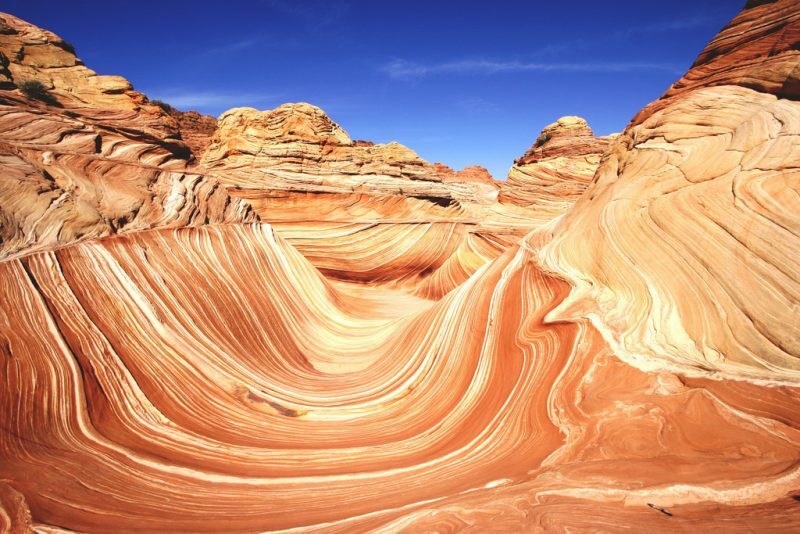 2) The Wave, Coyote Buttes, UT/AZ – Located on the Colorado Plateau in the Paria Canyon-Vermilion Cliffs Wilderness, you’ll find the Coyote Buttes, an impressive geologic area filled with brightly-colored sandstone formations, arches and even dinosaur tracks. And while the Buttes are filled with a wide variety of impressive sights, it’s the swirling sandstone feature called “the Wave,” that people flock to see. But with only 20 visitors permitted daily for the relatively straightforward 5-mile roundtrip hike, this might be the most coveted day permit in the country. While you can try your luck at the online lottery four months in advance of the dates you’re interested in, only 10 people are granted access for the North Coyote Buttes per day. Since just 4-5% of entrants are able to secure a permit this way, this is one of those rare cases where you have better odds at the in-person lottery, which is held every day at the Grand Staircase-Escalante Visitors Center between 8:30—9:00 a.m. Utah time for the next day’s trip. Only one person per group can enter the lottery per day, otherwise you risk being disqualified. If you are unsuccessful one day, you can re-enter the following day. This means, if you have some flexibility in your schedule and can try the in-person lottery on multiple days, you’re more likely to get your hands on a permit. 3) Kalalau Trail, Kauai, HI – Visiting the world-famous and breathtaking Na Pali Coast is at the top of the list for most visitors to Kauai. But if you want to get beyond the hordes of people and experience this rugged slice of tropical paradise more intimately, the 22-mile roundtrip hike along the Kalalau Trail, which begins from Haʻena State Park, is the only land access to this remote and unspoiled area. The beginning section of the trail that leads to Hanakapi’ai Beach and Hanakapi’ai Falls is popular with day hikers, but to continue past Hanakapi’ai Valley (2 miles in) and on to legendary Kalalau Valley, hikers need a permit even if you’re planning to do the entire hike in a day. With waterfalls, crystalline streams, lush valleys and 180-degree ocean views to take in, who’d want to rush it though? 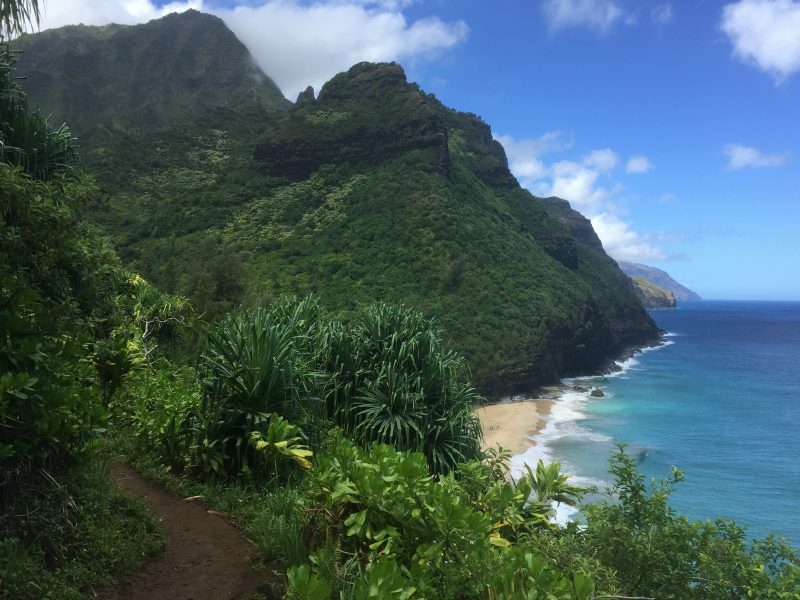 Here’s how to get a Kalalau Trail permit…. According to Hawaii’s Department of Land and Natural Resources (DLNR), “permits allow a maximum of 60 people to camp in designated areas” along the Kalalau Trail for up to 5 days. Because of these small quotas, reservations often sell out a year in advance, especially during peak season. All reservations must be made in advance online through the DLNR reservation system. Make sure to select “Napali Coast State Wilderness Park” and search for availability. Permits will cost you $20 per person, per day with a $5 discount for residents of Hawaii. There are no walk-in permits available so planning ahead is a must. 4) Half Dome, Yosemite CA – It’s a challenging 14- to 16-mile hike, with a 4,200-foot elevation gain and treacherous climb up the side of a dome, but that doesn’t deter the masses from hiking to the 8,800-foot summit of Half Dome in the heart of Yosemite National Park. 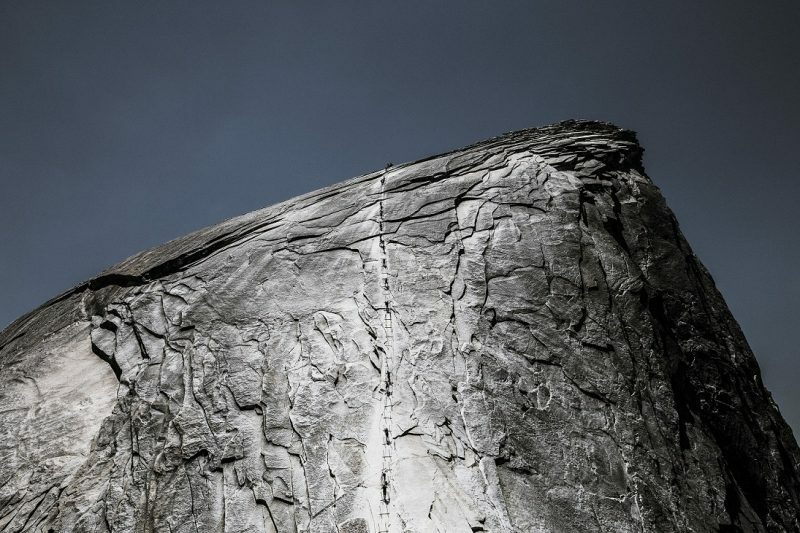 Since Half Dome’s infamous metal cables, which allow hikers to make the final 400-foot ascent, are only up seasonally—from approximately late May to early October depending on snowfall and trail conditions—the daily demand for permits is high. If you’re one of the lucky people to get one, you’re rewarded with mind-blowing views of the Sierra and a high sense of accomplishment. After all, those cables aren’t for the faint of heart. 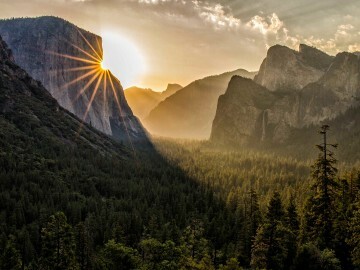 Since 2010, the National Park Service has instituted a lottery system which grants only 300 Half Dome permits per day. If this sounds like a lot, some 1,200 people were climbing Half Dome daily before the permit system was put in place. Out of those 300 daily permits, which are required to ascend the subdome steps and cables, approximately 225 are available during a preseason lottery which runs from March 1 – 31. To increase your odds of getting a permit, applicants can pick up to six dates. And while individuals can’t submit multiple applications or they’ll be removed from the lottery, it is acceptable for each person in your group (of up to 6) to submit an application. Lottery winners are notified via email in mid-April at which time you must pay the $20 permit fee. If you miss the preseason lottery, approximately 50 permits are available for a daily lottery that runs any day the cables are up. Applications for these permits must be made online two days in advance of your desired date. Or, if you’ll be backpacking from other areas of the park and would like to include Half Dome as part of your itinerary, you can apply for a Yosemite Wilderness Permit that includes the cables. The Park Service reserves approximately 75 permits per day for this and there is no lottery, you simply make the request on your backcountry permit application and it will either be accepted or denied. 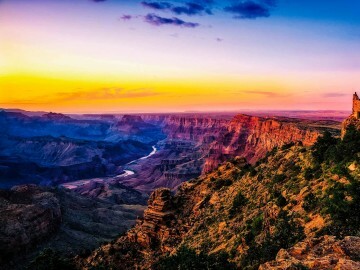 5) Grand Canyon Rim-to-Rim Hike, AZ – Hiking the Grand Canyon Rim-to-Rim or even Rim-to-River is a bucket list adventure for any serious hiker. Securing a coveted overnight permit for the Bright Angel Trail, South Kaibab or North Kaibab Trail is no easy feat, however, especially during the peak months of April/May and September/October. 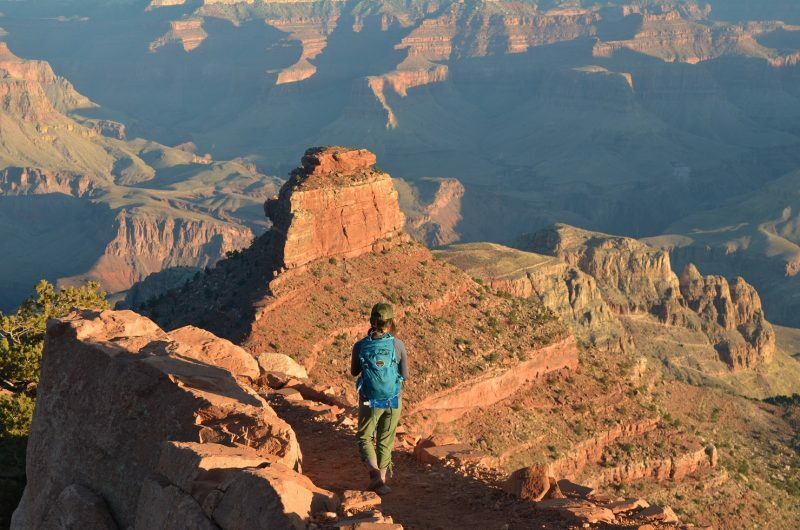 The Grand Canyon’s Backcountry Information Center reports they’ve seen 800 permit requests in a day and it’s estimated that three out of four permit requests to backpack across the canyon are rejected. For Grand Canyon backcountry permits, which you need if you’re planning to spend the night anywhere in the main corridor, you need to download a permit request form and fax (928-638-2125) or mail to the Backcountry Information Center (P.O. Box 129, Grand Canyon AZ, 86023). You can also make in-person requests. Online reservations are not available at this time. For your best chances, you should submit your request via fax or mail up to four months prior to your trip. For example, for a hike starting anytime in June, you should apply before Feb 1 (by 5pm MST). The day received does not matter. All requests made during that time are given equal consideration. In-person requests can be made three months in advance. Additionally, a limited number of walk-in permits for corridor campsites like Indian Garden, Bright Angel, and Cottonwood Campgrounds are available one day prior to the start of a hike. Again, peak months are much more in demand and you may strike out. You do not need a backcountry permit to hike the Bright Angel Trail, South Kaibab or North Kaibab if you plan to do a day hike or stay at Phantom Ranch. 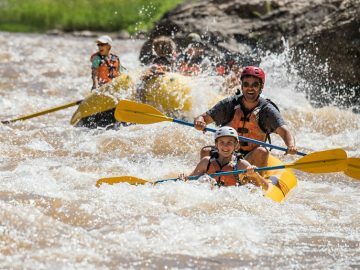 However, snagging a Phantom Ranch reservation entails an entirely different and time-consuming process. 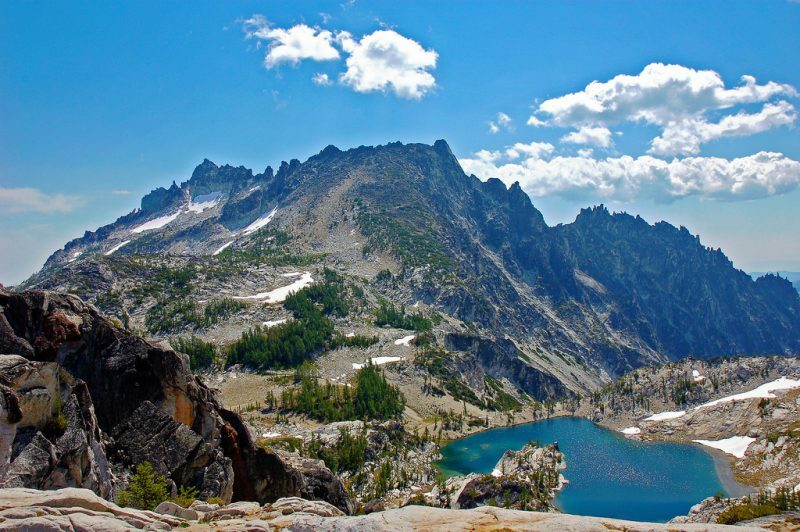 6) Enchantment Lakes, WA – With granite peaks, crystalline lakes, and countless swimming and fly-fishing opportunities, the approximately 18-mile, point-to-point hike through the Enchantment Lakes basin in the Cascade Mountains is the premier backpacking trip in the Northwest. While the entire trail from the Stuart Lake trailhead to the Snow Lakes trailhead (or vice versa) can be done as a challenging day hike, most people choose to spend more time exploring this grandiose chain of lakes. However, because of high-use, overnight camping has been limited to 28 groups for a maximum of 224 campers per night spread out through the area’s five distinct camping zones, according to an article in the Seattle Times. Overnight permits are required for any multi-day trip between May 15 and October 31 and are awarded through an online permit lottery that takes place mid-February through early March every year. There is no preference for early applicants. One reservation per person is accepted for groups of up to 8. However, the person who secures the reservation for the group is the permit holder and must be present for the trip. 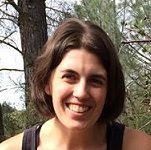 Reservations are not transferable to another member of the group. To see the lottery results, applicants can log into their recreation.gov accounts between mid-March and the end of March to see if they received a permit. Successful reservations must be accepted within that time frame or they will be forfeited. If you miss the permit lottery, unclaimed dates will become available online beginning April 1. There is also a daily walk-in permit lottery for a small number of permits at the Wenatchee River Ranger District Office in the town of Leavenworth, WA. Or, you can always opt for an epic day hike. 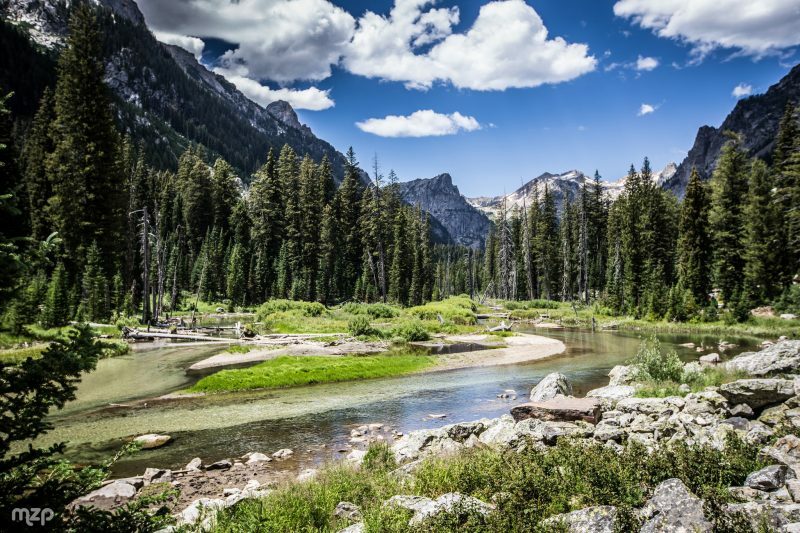 7) Teton Crest Trail – Grand Teton National Park, WY – While there are endless opportunities for backpacking in Grand Teton National Park, for the “best of the Tetons” experience, the Teton Crest Trail is a must-do. 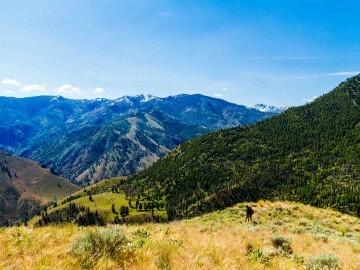 Traditionally, the Teton Crest Trail starts at The Phillips Trailhead and exits via Paintbrush Canyon in Grand Teton National Park, making for an approximately 40-mile hike. But you have options and being flexible helps since this classic trail falls into one of the park’s most popular wilderness camping zones, and backcountry permits often get booked up very soon after reservations open in January, according to Michael Lanza, former editor for Backpacker and creator of The Big Outside. Reservations for one third of Grand Teton National Park’s backcountry campsites and group sites can be reserved online beginning the first Wednesday in January at 8 a.m. MST through May 15. If you miss this window, or do not get your preferred dates, you can try to get a permit in-person from the park permit office the day before your desired trip date. Permits must be picked up in person from the Craig Thomas Discovery and Visitor Center in Moose, the Colter Bay Visitor Center, or the Jenny Lake Ranger Station. If you do not pick it up before 10 a.m. the day of your scheduled departure, your permit will be forfeited. Have you done any of these hikes? We’d love to hear any tips you may have for snagging a permit.